B4H 1st Organizational Contributor: Simon Fraser University Health Promotion Team! 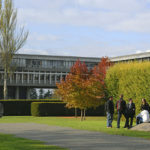 Simon Fraser University’s Health Promotion team within SFU Health and Counselling Services was founded in 2006 with the mandate of improving health and well-being for students at SFU. Initially the team prioritized health behavior change through outreach and education, addressing a variety of health issues related to university students including sexual health, nutrition, sleep, physical activity, illness and injury prevention and mental health. Resource development was also an area in which the Health Promotion team succeeded in order to support individuals in improving their personal health practices and skills. Over time the unit has recognized the need to shift to more strategic, systemic and sustainable approaches to impacting campus well-being. Through this process, several changes were made, including moving resources online to create easier access, and transitioning health education outreaches to student Peer Health Educators. SFU Health Promotion’s interests include holistic health perspectives, strength-based approaches to health as well as the institutional and contextual factors that influence the well-being of the SFU community as a whole. These interests are illustrated through the HP team’s Healthy Campus Community Initiative, which takes a campus wide approach to enhance health and well-being and is modeled after the World Health Organization’s (WHO) Health Promoting University model. Currently, SFU Health Promotion is working within the comprehensive WHO Health Promoting University framework to systemically impact well-being on our campus. A number of projects are being carried out under the umbrella of the Healthy Campus Community initiative including the Well-being in Learning Environments project, which in partnership with SFU’s Teaching and Learning Centre is working to enhance student well-being by recognizing the important impact of learning environments. SFU Health Promotion enjoys broadening their networks, creating new connections and opportunities to collaborate with organizations and individuals in order to highlight a multilevel responsibility for health and well-being within higher education. As a result, SFU Health Promotion is thrilled to be the first organizational contributor of Bridge for Health and further support its mission.